Bright orange color is excellent for accentuating white decorating ideas. 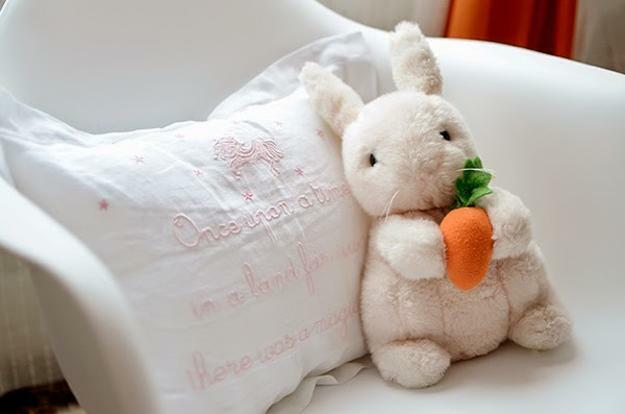 Orange color is optimistic and cheerful, perfect for girls bedroom decorating. 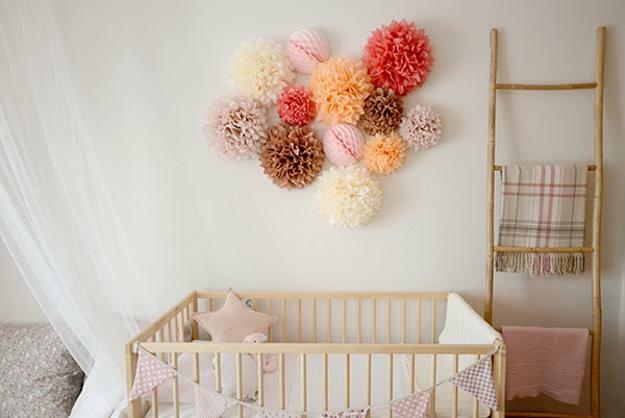 Lushome presents a beautiful color combination for girl room design which includes peach, orange, light brown and creamy yellow color shades that bring warmth and coziness into the interior decorating. Turquoise blue color tones and bluish green color balance the room design and add cool accents to the toddler bedroom decorating. Neutral colors, like white, light beige and yellow cream give a spacious look and soft feel to the girls bedroom. 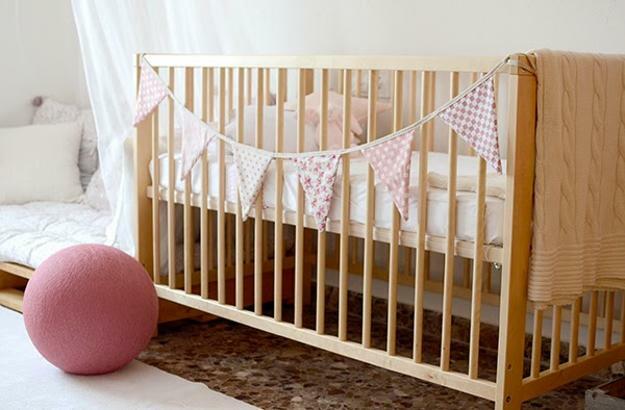 Elegantly simple and comfortable baby room furniture and pleasant natural wood colors create a bright environment for the little girl to grow. 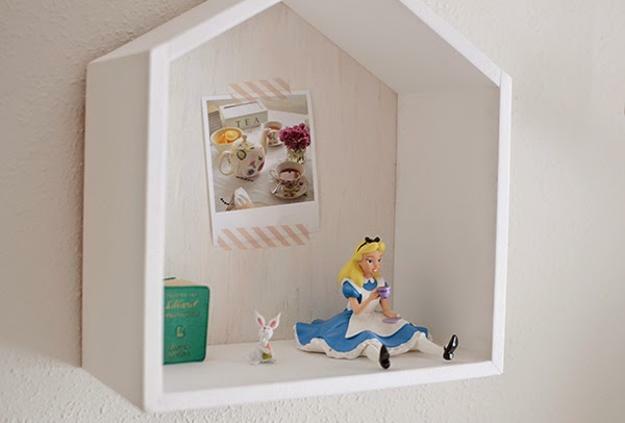 Original storage solutions, cute details, and creative accents make the room design attractive and provide great inspirations for unique and beautiful toddler bedroom design. 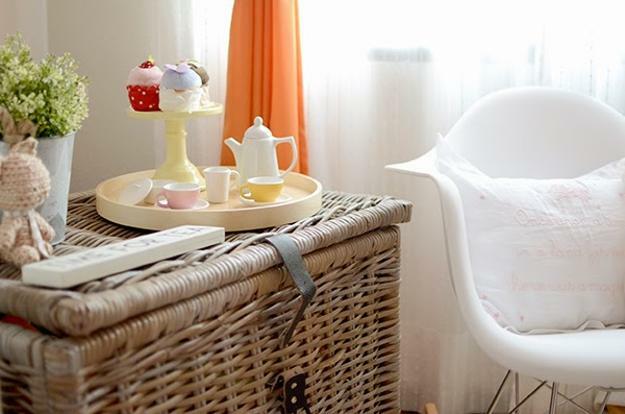 Smart zoning, functional kids furniture, convenient storage, and cute decorations add personality and comfort to the girl room. Plenty of natural light and white decorating add lightness and flexibility to the timelessly elegant and bright interior design. The atmosphere in the room is exciting and relaxing at the same time. Neutral color tones with bright orange accents and a touch of turquoise blue and green color work well for balanced, warm, and cozy little kids rooms. Originality is a great feature of the modern interior design and decorating. 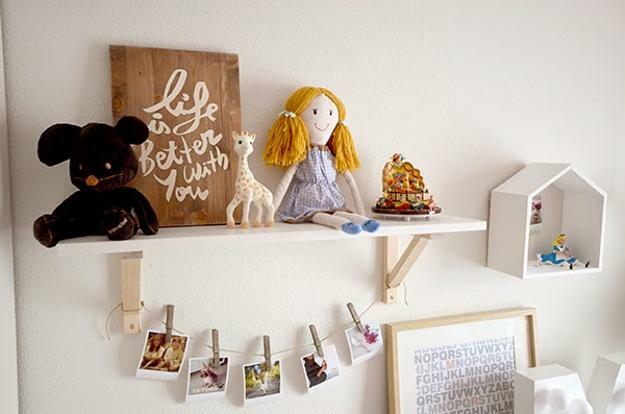 Fabric and paper crafts, colorful pom-poms, soft toys, signal flags, pictures, and letters personalize this girls room design. Rustic wood texture and light brown colors of natural wood add a charm of luxurious simplicity to the interior decorating. Cork flooring ideas are one of the best trends in decorating kids rooms. Cork flooring is original and comfortable. Cork work well with wicker and wooden furniture. 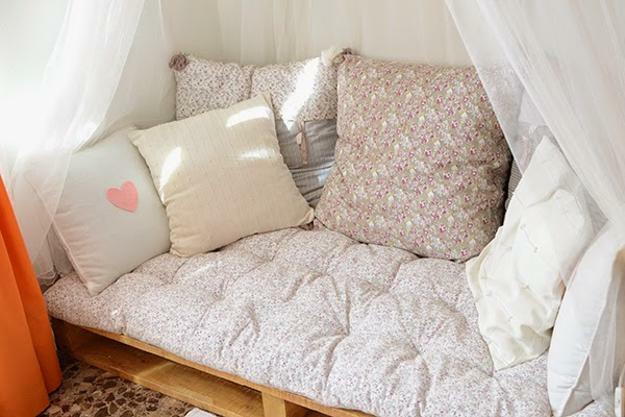 Cork flooring and upholstered furniture pieces with soft cushions create beautiful room design and improve the toddler bedroom decorating. Ribbons on the curtains, handmade signal flags on the bed, curved branch rail and paper crafts for wall decoration add unique character to this attractive, colorful and modern toddler bedroom design. 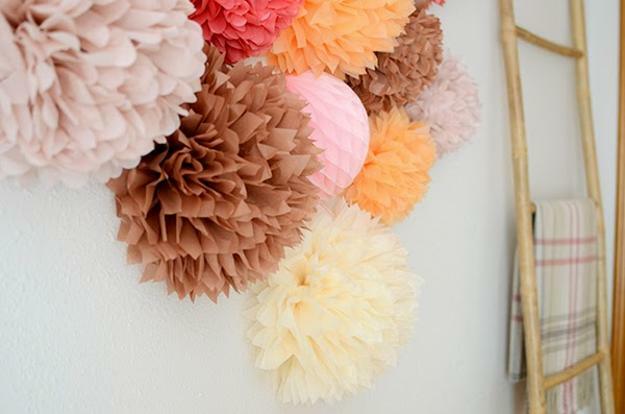 These interior decorating ideas are inspiring. 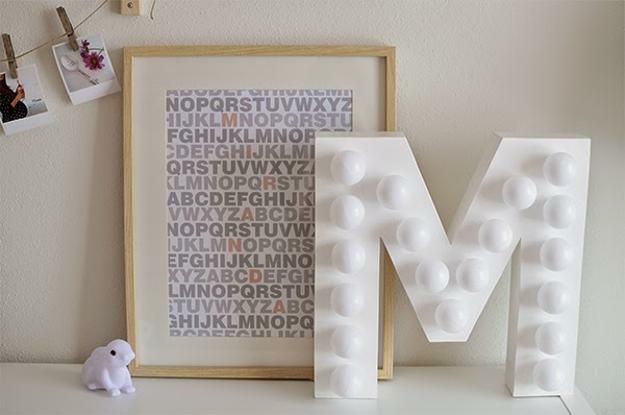 Steal the look or come up with unique ideas for kids rooms to create amazing living spaces for your little ones.